Lisa traveled with us on the first Fly Fishing Festival. She had just finished the last of her chemotherapy and was on her way to fish with new friends. She fought breast cancer twice. 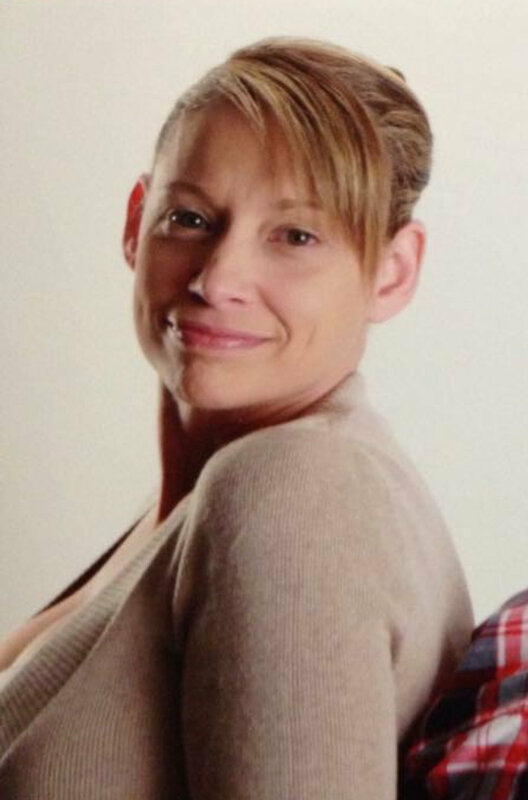 Through all of her sickness she managed to raise her children and work two jobs. Lisa and I worked together. She gave me the idea of taking a lady on the trip free of charge. Because I seen in her what fighting for your life meant. Yes Lisa was my inspiration. She never complained. I’d have to corner her to find out where she was medically. At this time Lisa is happily married and still working (thankfully one job). We wish Lisa a long happy healthy life, and hope she joins us on another adventure. 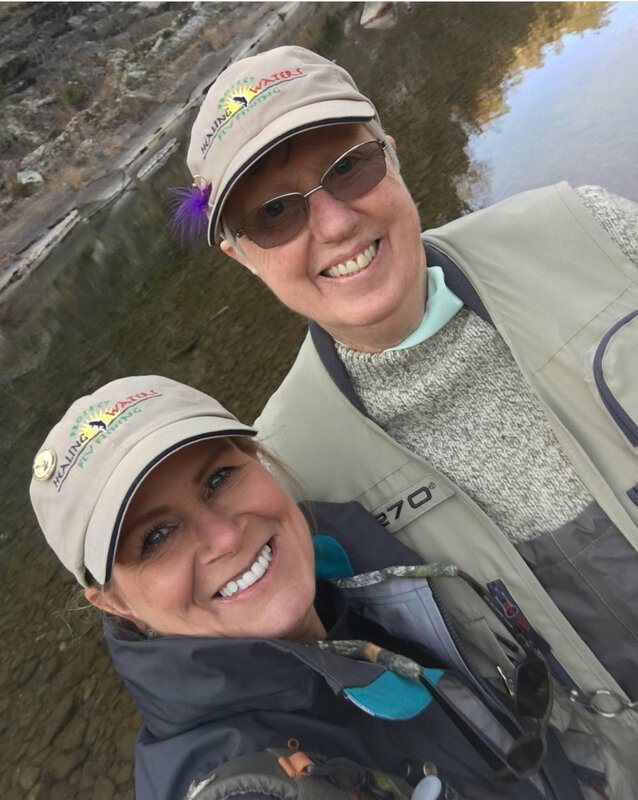 Angie was in the midst of fighting cancer when she went on our second annual Fly Fishing Festival. Four of her life long friends wanted to take her on the trip for support. They had been friends since kindergarten. The love between these ladies shown through on the entire trip. They laughed and cried and shared stories about their past with us. A truly loving group of ladies that I’m proud to say are now a part of us as friends and fly sisters. We wish Angie a long happy healthy life full of friendships and memories. Hope you go on another adventure Angie! I met Connie at the Virginia Fly Fishing & Wine Festival. Upon talking to her I knew she had to be my guest for our third annual Fly Fishing Festival. 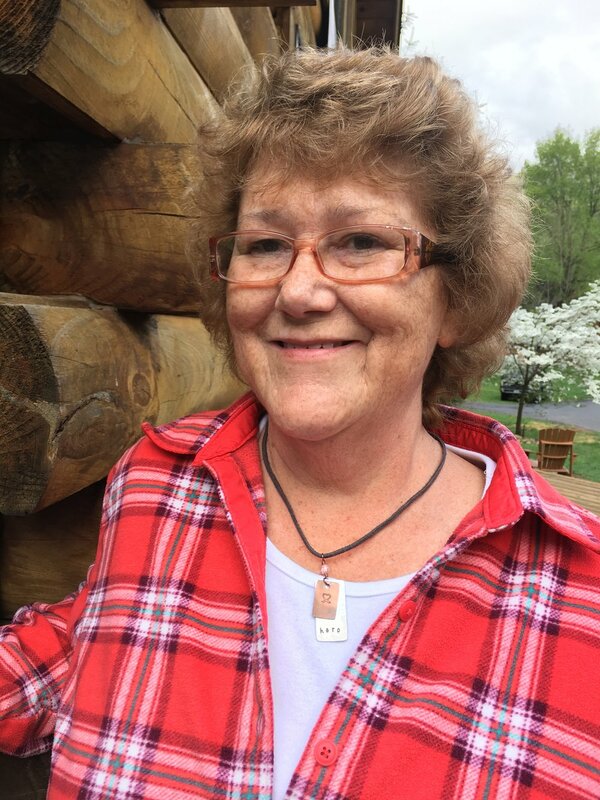 Connie had just finished her chemotherapy right before climbing in Amy Kirsty’s car and driving over ten hours to West Virginia. Connie has become a longlong friend and fly sister to all of us. We wish her the best and hope she comes back to West Virginia for another adventure. Here’s to a long happy healthy life! 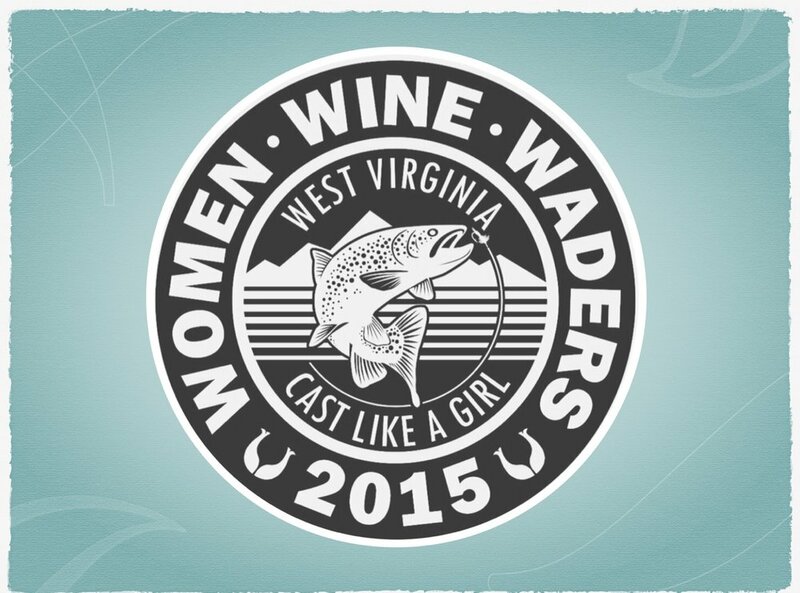 Who will be our guest of honor at this years Fly Fishing Festival? We are always looking for ladies who deserve a getaway from sickness and life’s hardships. If you have someone you would like to nominate send us a message. We would love to hear from you. My family and I reside in St. Albans, WV. I’m a massage therapist at Teays Valley Chiropractic. I specialize in modalities such as therapeutic, myofascial release, equine massage, rock-tape and lymphatic. I have incorporated Young Living Essential Oils into my daily personal and business life. Through these oils I am able to help my family and patients with specific needs and target areas of concern. My spare time is spent with family, friends, horses and fly fishing. The love of fishing the mountains of West Virginia initiated my concern for conservation of our waters. I am a member of Trout Unlimited. The Mayfly Project is a 501(c) (3) organizetion that uses fly fishing as a catalyst to mentor children in foster care. Our mission is to build relationships with children in foster care through fly fishing and introduce them to their local water ecosystems, with a hope that connecting them to a rewarding hobby will provide an opportunity for foster children to have fun, feel supported, and develop a meaningful connection with the outdoors. Dedicated to the rehabilitation of disabled active military service personnel and disabled veterans through fly fishing, fly tying & associated activities. To conserve, protect and restore North America’s cold water fisheries and their watersheds.